Hajime Ramen, one of Tokyo’s finest and the first in Indonesia, is welcoming foodies seeking the delicacies of noodle and steak in one plate. Set aside the hype on coffee shops or the love of dessert for a while now, you will see that Jakartans have long been in love with ramen.Who doesn’t love that springy noodles combined with thick broth and beautiful toppings? It’s the richness and the variety that brought people together to end their day with a bowl of good old ramen. Ramen shops, locally established or those that came from Japan, all presented themselves with their own distinctiveness. Some portray their lovingly made miso or toripaitan broth, some promote themselves as the price-friendly ramen shops, while the rest introduce different variety with the soups and levels of spiciness. By using Australian sirloin steak, grilled chicken, and Mongolian salt as the main star ingredients; Hajime Ramen prepares two types of pure broth that we can choose from beef or chicken. In exchange for the traditional approach in ramen that consists of yellow curly noodles, some chashu and a beautiful soft boiled egg as a topping; there is now a newly opened ramen shop in Jakarta that offers a different perspective on how we could enjoy ramen at a new level. Introduced as Hajime Ramen in Indonesia, Chef Uchida Gen started his endeavor with Ramen Gen back in 2009 Tokyo. Having achieved recognitions as Tokyo Ramen of The Year in 2010 and 2011; Chef Gen’s ramen shop additionally received the all important acknowledgments as well from Tokyo Walker magazine, Best Tokyo Ramen Shops in 2014 by Time Out Tokyo, and many others. Chef Uramoto Shigetoshi leads as the Head Chef through the Ramen-serving battle of Hajime Ramen. Also here assisting the Head Chef, Sous Chef Sato Toshihiko. What Chef Gen introduces us here in Hajime Ramen Indonesia, led by Uramoto Shigetoshi as the Head Chef and Sato Toshihiko as the Sous Chef is his clever take of steak ramen. 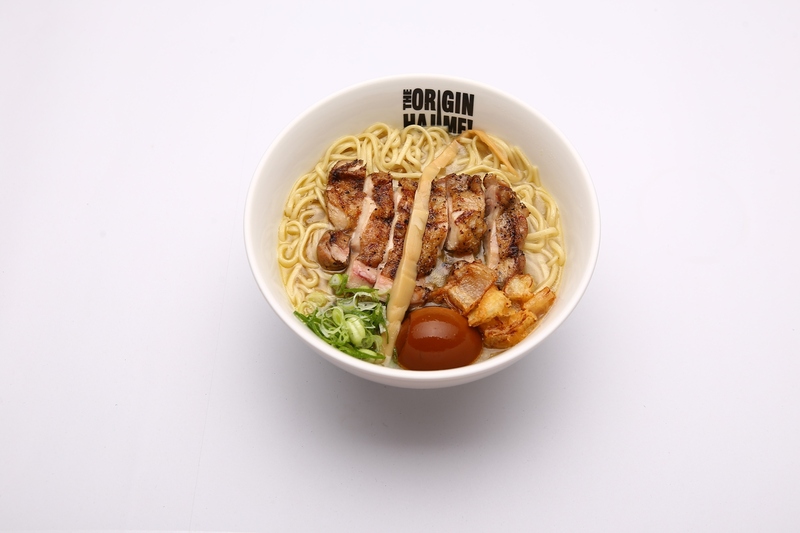 By using Australian sirloin steak,grilled chicken, and Mongolian salt as the main star ingredients; Hajime Ramen prepares two types of pure broth that we can choose from beef or chicken. The ingredients are all lined up nicely and then added with Chef Gen’s signature touch – the bamboo shoot as the topping. In addition to the steak ramen, the restaurant reveals another interesting angle with its hot plate ramen – prepared with the accompaniment of the steak or grilled chicken. Not forgetting the traditional Japanese cuisine, Hajime Ramen allocates shoyu ramen in its menu as well as some rice options in the form of donburi. The signature menu of Hajime ramen, the Beef Ramen Hajime. Also serving the Hot Plate Beef Hajime. With this interesting approach to make ramen more interesting, Jakarta is now bestowed with colorful options. For noodle lovers throughout the country, it is now a must-not miss opportunity to explore this part of Jakarta for this new breed of ramen.